In mid-November, the Human Dynamics RIPAP project organised a study visit to Ljubljana for representatives of the Ministry of Sustainable Development and Tourism of Montenegro (MoSDT) and Montenegrin industry delegates to enhance their capacities for implementation of the EU emissions trading scheme (ETS). The members of the visiting delegation were introduced to the capacity needs and the required involvement of various stakeholders for application of the ETS in the scope of the Paris Agreement. The purpose of the study visit was to set specific actions, with particular emphasis on activities required to speed up the preparation process in Montenegro, specifically with the future Competent Authority and the main operators that support the ETS implementation. Three of the most experienced Slovenian operators, whose greenhouse gas emissions are regulated under the EU ETS, have shared good practices on implementation of the ETS, including aspects such as organisation of data, risk management and the impact on the strategy of their company. In order to maximise practical understanding of all elements addressed, the study tour participants had the training on-site of the three operators and in the offices of the host Ministry and the Environment Agency. This was highly beneficial for our participants from Montenegro and allowed various Slovenian speakers and RIPAP experts to participate in the knowledge exchange. The event is the first in a series of in-country workshops for competent authorities to accelerate the implementation of the EU emissions trading scheme for Western Balkan countries and Turkey. 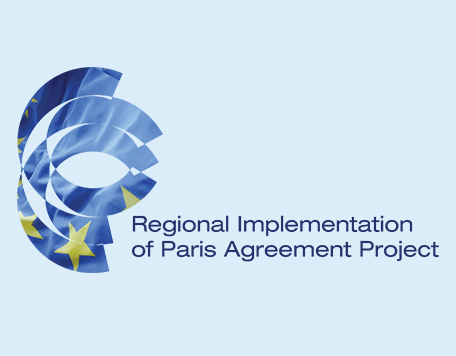 The RIPAP builds on the experience of ECRAN, another successful project implemented by Human Dynamics, and extends our presence in the region to help national governments with their mission towards a climate resilient and sustainable future.